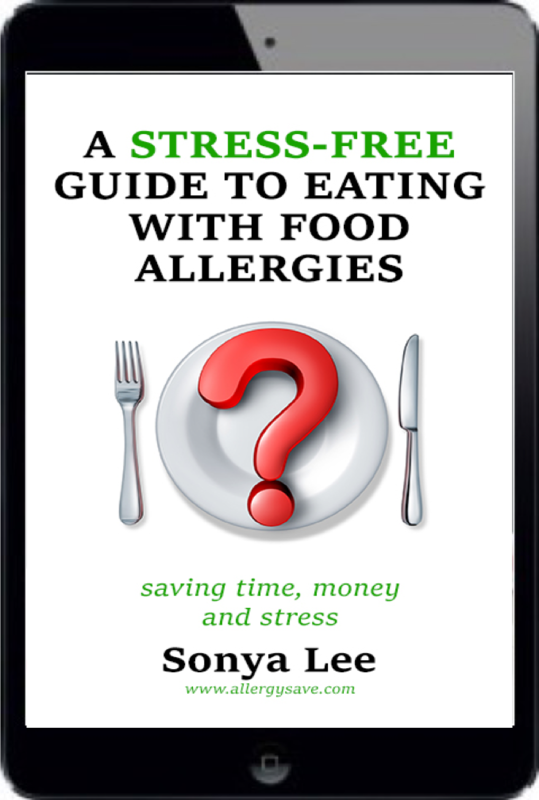 A Stress Free Guide To Eating With Food Allergies -This is a must have eBook packed with helpful tips and suggestions for anyone newly diagnosed with food allergies. Designed to help cut through the overwhelm and navigate your way through eating safely with food allergies without going insane. Written by a mum whose son was diagnosed with life threatening multiple food allergies to over 15 common foods. I understand the fear and I understand the overwhelm. I'd like to share some of what I have learnt along the way to help you on your journey. 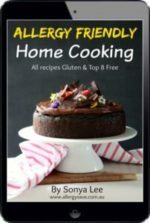 Allergy Friendly Home Cooking -The recipes in this eBook are a collection of some of my family's favourite allergy friendly recipes I have made over the years. I love cooking delicious food that my whole family can eat. When my son was diagnosed with life threatening multiple food allergies our world changed. I could no longer cook whatever I wanted. Making food that was safe for my son was a priority. 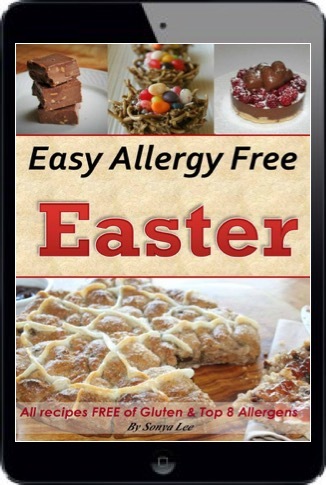 Easy Allergy Free Easter -Does the thought of Easter food send you into a panic? The good news is, the hard work has been done for you. This eBook is packed with 36 yummy recipes perfect for the Easter holiday and beyond. Every recipe is Gluten Free & (Top 8 Free) Free from Peanuts, Tree Nuts, Dairy, eggs, Soy, Fish and Shellfish. Easy recipes using simple (easy to find) ingredients. This book will help people catering for different dietary requirements. Even people without allergies love these recipes. 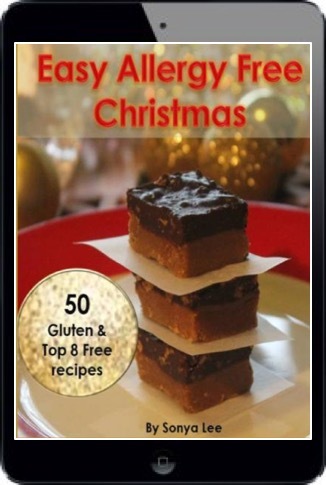 Easy Allergy Free Christmas -Take the stress out of Christmas with Easy Allergy Free Christmas eBook. 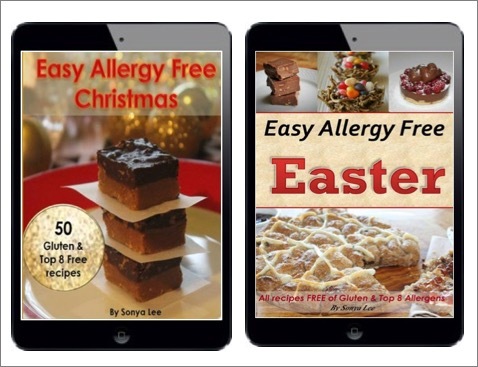 An allergy cookbook packed with delicious recipes suiting many restrictive diets including multiple food allergies and those with celiac disease. Over 50 delicious easy to cook recipes – an allergy cookbook with a difference. Every recipes is FREE FROM Gluten, Peanuts, Tree nuts, Wheat, Dairy, Eggs, Soy, Fish, Shellfish. 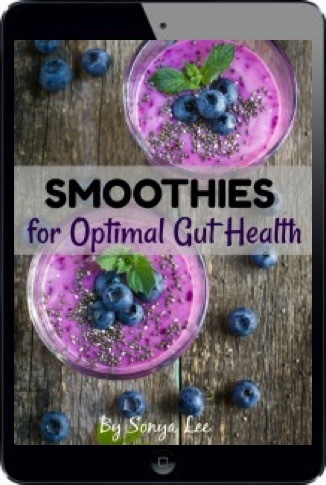 Smoothies for Optimal Gut Health - Many of my client’s experience bloating and digestive distress after they drink smoothies. I’m here to tell you it doesn’t need to be that way. The recipes in this book will give you that amazing energy you desire. By drinking smoothies, you are giving your body nutrients in an easy-to-digest from, giving your digestion a break and leaving more energy for YOU. Mastering a Gluten Free Diet - Gluten causes health issues for many people. Mastering a Gluten Free Diet is a program to help you take control of your health and experience a complete rejuvenation! This set of resources will help set you up to be successful! Special Occasion Bundle - This bundle of allergy friendly ebooks includes Easy Allergy Free Easter plus Easy Allergy Free Christmas eBook! 86 recipes in total! Every recipes is FREE FROM Gluten, Peanuts, Tree nuts, Dairy, Eggs, Wheat, Soy, Fish and Shellfish. Majority are also preservative, additive and refined sugar free too! 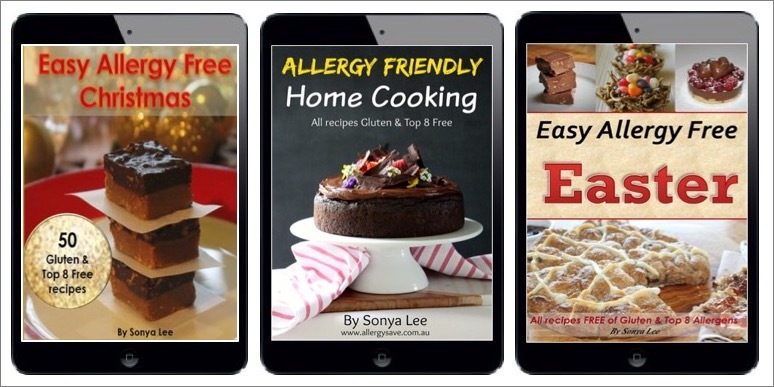 Special Occasion Home Cooking Bundle - This bundle of allergy friendly ebooks includes Easy Allergy Free Easter, Easy Allergy Free Christmas plus Allergy Friendly Home Cooking eBooks! 110 recipes in total! All recipes are FREE FROM Gluten, Peanuts, Tree nuts, Dairy, Eggs, Wheat, Soy, Fish and Shellfish. I was really suprised by the number of recipes you packed into this ebook. The Hedgehog slice is so quick and easy – a favourite to take to bbqs when you need to bring a plate. These smoothies were great and really helped ease my bloating.